All through the fifties, he tried to have his commercial work taken seriously by showing it in galleries: The Capote show at the Hugo Gallery was followed by a group show at the Loft Gallery in 1954, and two shows at the Bodley Gallery in 1956. 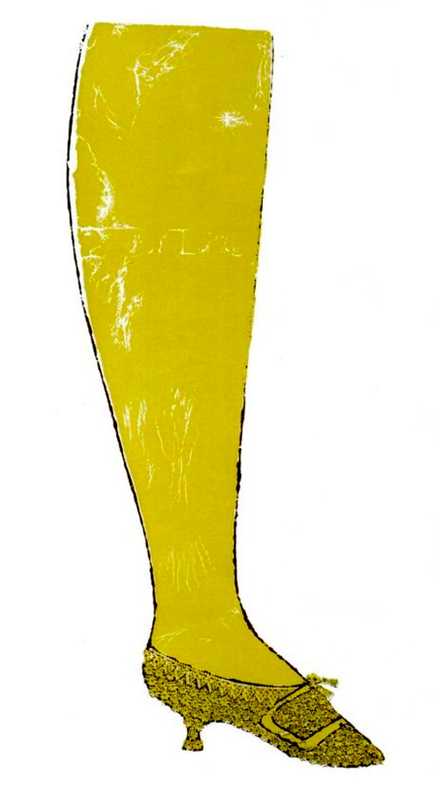 All, including the last—“The Golden Slipper Show or Shoes Show in America” - were ignored by the established art world, dominated by macho Abstract Expressionists like de Kooning and Pollock, and by square intellectual critics like Clement Greenberg and Harold Rosenberg. But these elaborate gold-leaf fantasies revealed much about Andy’s ambitions and desires. 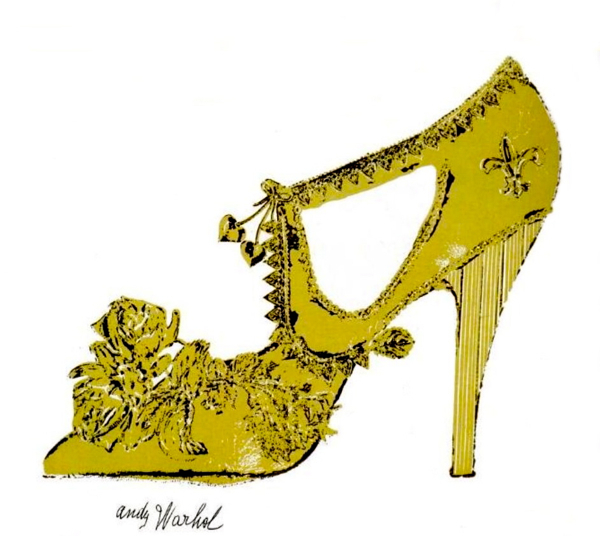 Andy had a real breakthrough with his Crazy Golden Slippers show at the Bodley Gallery in December 1956. 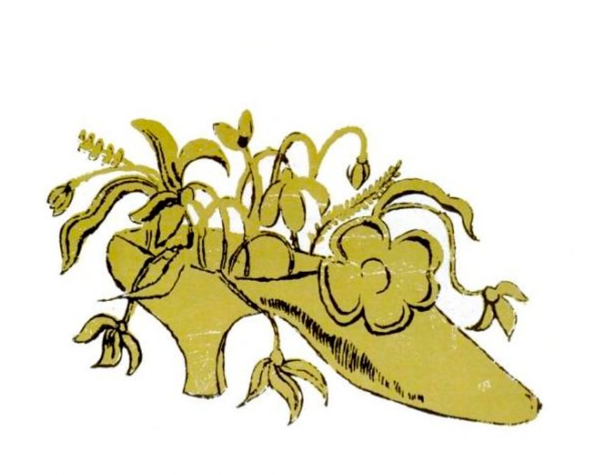 These were large blotted-line drawings of shoes painted gold, or decorated with gold metal and foil, like the lacquer furniture he had seen in Bangkok. 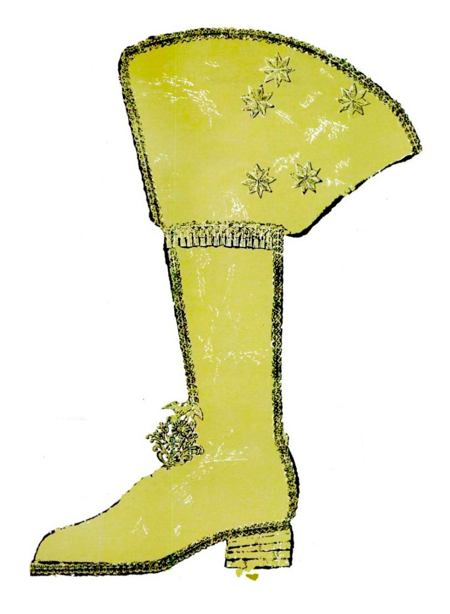 The distanced, iconographic golden slippers were a distinct contrast to the personal, voyeuristic male portraits he had shown at the beginning of the year and – perhaps consequently – more successful. 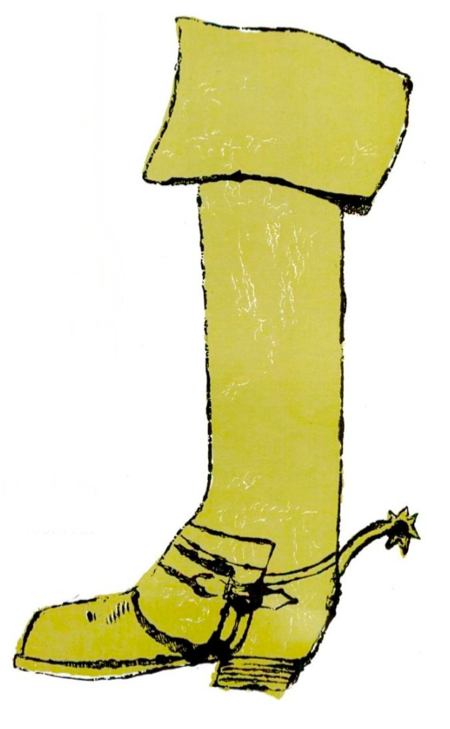 He gave each shoe a name: Elvis Presley, James Dean, Mae West, Truman Capote and Julie Andrews, among others, were given shoes that mirrored their characters. Julie Andrews and her husband Tony Walton came to the opening and so did the actress Tammy Grimes. There was less of the gay element. 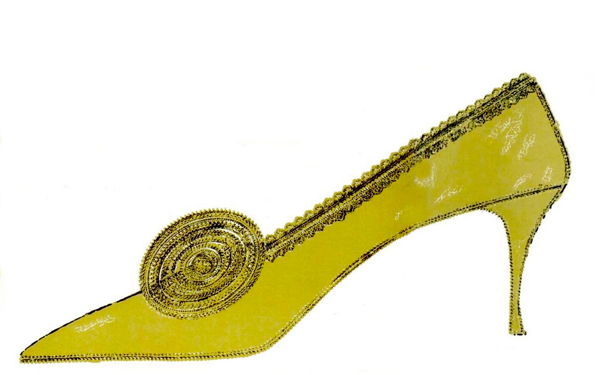 The socialite D. D. Ryan bought the gold shoe he had dedicated to Truman Capote, and sent it to Truman as a Christmas present with an accompanying note describing Warhol. ‘He’s becoming very well known. Very on-coming,’ she wrote. 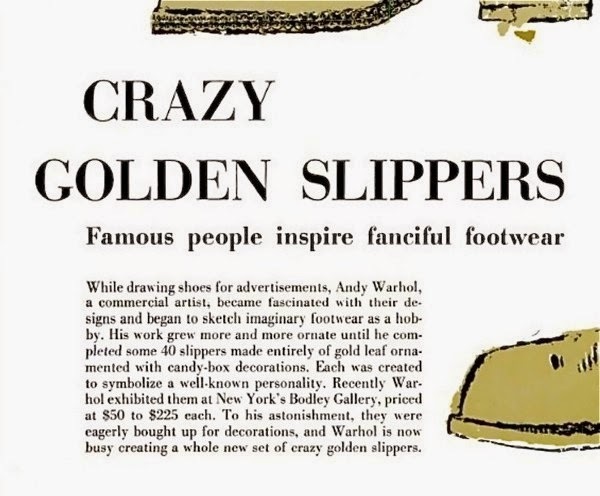 LIFE magazine got ahold of Warhol's work at an early stage. 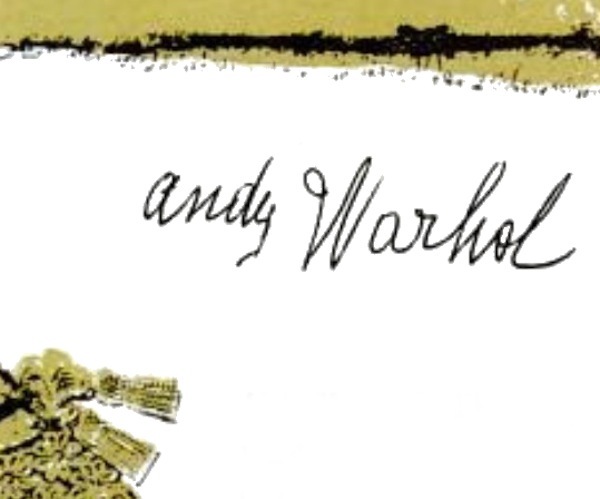 In 1957 Warhol was working for I. Miller, got some drawings published by Glamour magazine, Harper's Bazaar, The New York Times and already had a few shows under his belt. In spite of this, his second LIFE appearance came only in September 1963.